The East India Company was keen to secure its communication lines between India and Britain. Even before the Suez Canal was constructed, passengers and important messages often used the overland route through Egypt to speed up their journey. 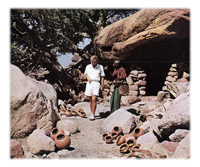 Searching for safe anchorages en route from India to Egypt meant that the island of Socotra appeared to provide a suitable stopping off point and possibly as a base to guard against pirates operating from the Arabian and Horn of Africa's coastlines. As steam power slowly replaced sailing ships, coaling stations suitably spaced around the main communications lines took on an increasingly important role for strategic planners. An appeal to the Mahra sultan of Qishn who claimed ownership and right to rule Socotra from the mainland was made. Indeed, the East India Company even landed troops on the island in 1834 in anticipation of an accommodation being made to set up a port and coaling station there. The Sultan undertook protracted negotiations with the representatives of the East India Company but eventually refused to make a deal for fear that he would lose control over his far flung possession. The East India Company troops were withdrawn in 1835 and the representatives searched for alternative anchorages. They were to find a suitable location in nearby Aden in 1839. 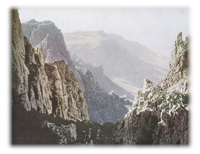 After this was acquired by the company, all interest in Socotra waned as they established their facilities on the Aden peninsular instead. The East India Company was dissolved in the aftermath of the Indian Mutiny. Its interests and possessions passed directly to the Indian Raj established by the British Government in 1858. The opening of the Suez Canal in 1869 vastly increased the flow of shipping in the region as the Suez Canal route became the primary means of transportation between Britain and India. Concerns that a foreign country might be interested in acquiring rights Socotra to disrupt British and Indian shipping caused the British government to consider approaching the Mahra Sultan once more. The result of these diplomatic entreaties was an 1876 agreement whereby the Sultan pledged "himself, his heirs and successors, never to cede, to sell, to mortgage, or otherwise give for occupation, save to the British Government, the Island of Socotra or any of its dependencies" in return for an annual payment of 3000 thalers. He also agreed to come to the aid of any vessel, British or otherwise, which might be wrecked on the island's shoreline and to come to the rescue of any crew, passengers and cargo in return for compensation from the British for his expenses and actions. This 1876 commitment appeared at first light to preclude any other European power from acquiring rights in the island, but of course as a sovereign leader, the Sultan had the right to revoke this earlier commitment and return any money paid to the British. 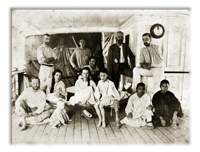 In the 1880s, the imperial temperature in the region rose substantially as the Scramble for Africa got underway in earnest and the Germans in particular began signing treates with various chiefs, sultans and leaders on the East Coast of Africa and the German Imperial Navy began visiting various ports along the African coast, the Red Sea and the Indian Ocean. The British had only recently acquired rights in the French Suez Canal Company and were hyper aware of any threats to this increasingly important line of communications. By 1886, the British increased the pressure on the Sultan to: "refrain from entering into any correspondence, agreement, or treaty with any foreign nation or power, except with the knowledge and sanction of the British Government". If he was approached, he agreed to inform the British Resident at Aden immediately. This was effectively a Protectorate status for the island with the British agreeing to intervene from Aden with its considerable local seapower if any foreign power attempted to assert control or seek some concession in the island. The Sultan was still in control of the domestic and religious affairs of the island but defence and foreign affairs had been subsumed by the British via their representative in Aden. In 1897, the P&O ship 'Aden' sank after being wrecked on a reef near Socotra, with the loss of 78 lives mostly as a result of those who left in life rafts before a suitable ship was available to rescue them. Those who waited on board the stricken ship were more likely to have survived as the Indian Government Steamer, the Mayo, ferried survivors from the Aden. As a result of this wreck, some of the cargo had been plundered by islanders, the Sultan was reminded of his obligations under the agreement of 1876. There was also some discussion of placing warning lights on the island, but these did not come to fruition. 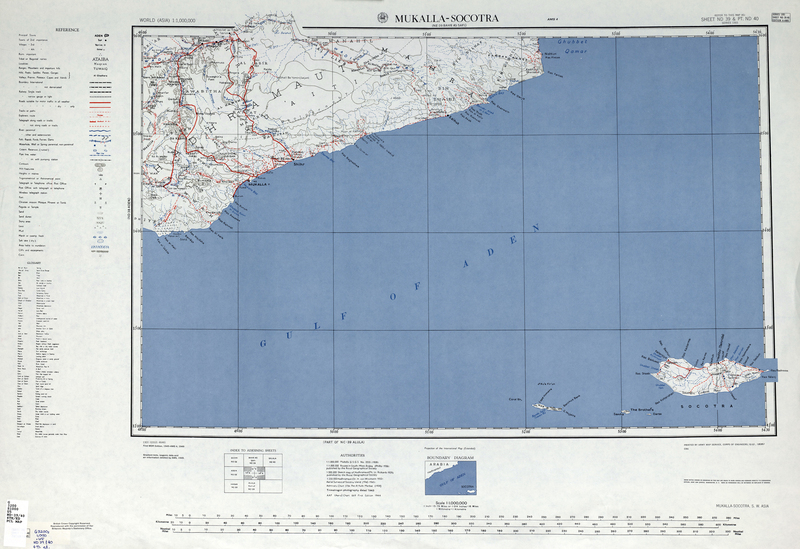 In October 1967, in the wake of the departure of the British from Aden and southern Arabia, the Mahra Sultanate as well as the other states of the former Aden Protectorate were abolished. 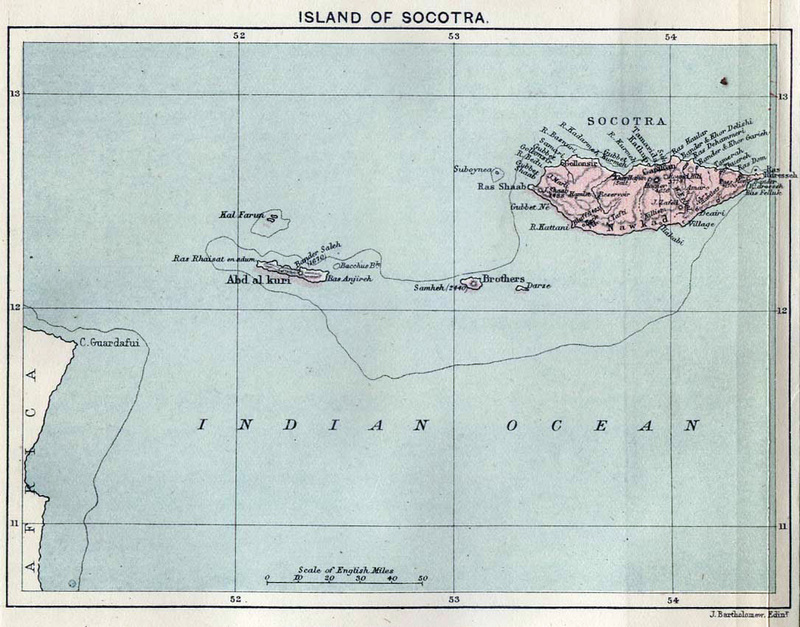 On 30 November of the same year, Socotra became part of South Yemen. 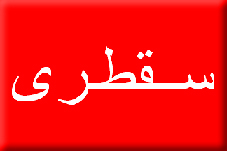 Since Yemeni unification in 1990, it has been part of the Republic of Yemen. Travels to the City of the Caliphs, along the Shores of the Persian Gulf and the Mediterranean. 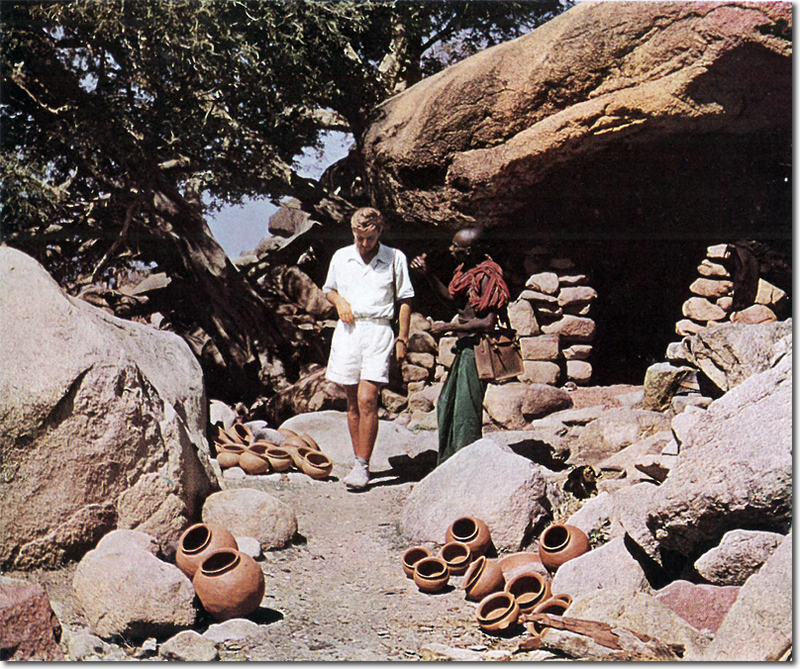 Including a Voyage to the Coast of Arabia, and a Tour of the Island of Socotra.